Kirk Watkins is an Associate in the Litigation Practice Group. Kirk concentrates his practice on complex commercial litigation, including corporate and securities litigation, ERISA litigation, post-closing disputes, shareholder and derivative disputes, fiduciary liability matters, and class action defense matters. Kirk has acted as trial and appellate counsel in federal and state courts throughout the country, representing corporations, businesses, directors, and officers in all phases of litigation. Kirk has also successfully mediated and arbitrated cases on behalf of his clients. In addition to his trial and dispute resolution experience, Kirk has conducted internal corporate investigations and advised clients facing investigations before the Securities and Exchange Commission (SEC) and other governmental bodies. 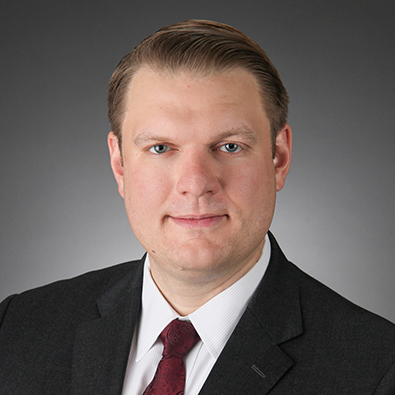 Prior to joining Freeborn, Kirk was an Associate in the Chicago office of McDermott Will & Emery LLP in both the Trial and White-Collar & Securities Defense Groups. While in law school, Kirk served as a judicial extern to Magistrate Judge Morton Denlow in the U.S. District Court for the Northern District of Illinois. Conducted an internal investigation of a real estate investment company in connection with shareholder derivative demands alleging accounting fraud and conflict-of-interest issues. Defended an independent bank trustee of various company pension and “top hat” plans in multiple ERISA class actions, each alleging over $200 million in damages. Represented an investment advisory firm and associated broker-dealer in an SEC investigation and series of related lawsuits arising from the alleged theft of $15 million by a former associated person. Defended several manufacturing companies in separate class actions brought by former union employees seeking to enjoin the companies from making changes to post-retirement healthcare benefits. Co-Author, "U.S. Supreme Court Will Review the Sixth Circuit's Yard-Man Inference that Retiree Health Insurance Benefits are Vested," Bender's Labor and Employment Bulletin (July 2014). Co-Author, "A Dramatic Change in Multiple Damage Calculations Under the False Claims Act," BNA Federal Contracts Report (June 25, 2013). Freeborn & Peters LLP is pleased to announce that it has secured a favorable jury verdict for its steel processor client, National Material Company, LLC, based in Elk Grove Village, Ill., in a breach of contract case in Christian County, Ill.
Kirk Watkins has received an Award for Excellence in Pro Bono Service from the U.S. District Court for the Northern District of Illinois in conjunction with the Chicago Chapter of the Federal Bar Association.